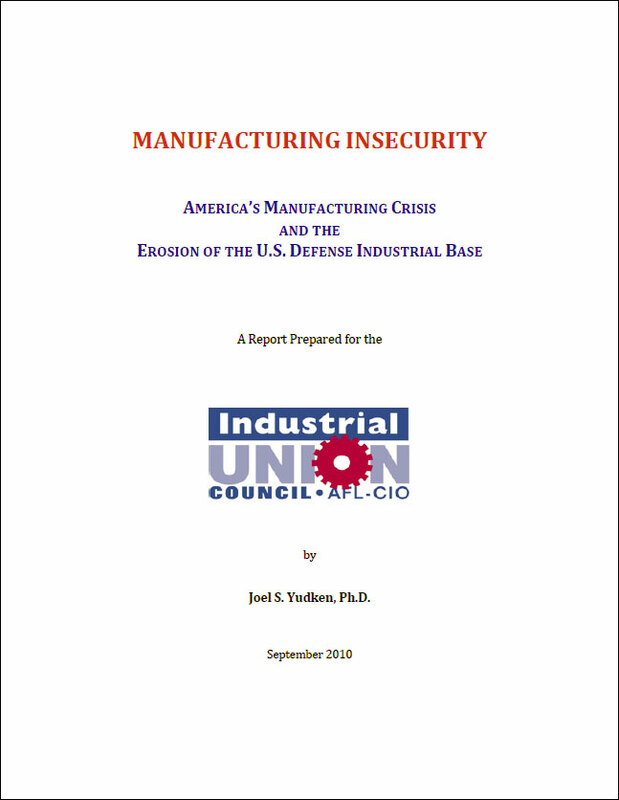 In a study initiated by the Industrial Union Council, AFL-CIO and the U.S. Business-Industry Council—and funded by the IUC—High Road Strategies conducted an in-depth examination of how the decline in American manufacturing contributes to the erosion of America’s defense industrial base. 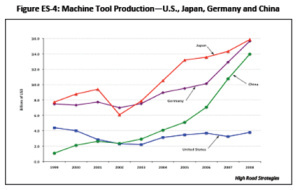 In contrast to other assessments of the military’s reliance on foreign sources that have only focused on a small number of critical technologies or industries, this study—drawing from statistical data and references from government and industry, the professional literature and other sources—evaluated the health and competitiveness of the nation’s overall civilian industrial base upon which a strong defense industrial base ultimately rests. The paper also was distributed at—and High Road Strategies Principal Joel Yudken participated in—presentations to the Manufacturing Division of the National Defense Industrial Association (by members of the Coalition for a Prosperous America) on October 28, 2010 and the Manufacturing Industry Study group at the Industrial College of the Armed Forces, National Defense University (by the IUC’s Baugh), at Fort McNair, Washington, DC on February 10, 2011. 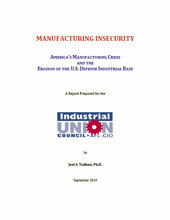 On April 14, 2011, Dr. Yudken presented the findings of the report at a forum sponsored by the IUC, and co-sponsored by the Coalition for a Prosperous America, the AFL-CIO Metal Trades Department and the Alliance for American Manufacturing, held in the President’s Room of the AFL-CIO in Washington, D.C. Dr. Jerry Abbot, current faculty member and former director of the Industry Studies Program, Industrial College of the Armed Forces, of the National Defense University, and Owen Herrnstadt, Trade and Globalization, International Association of Machinists, were respondents. A standing room only audience of business, labor, and government representatives participated in person, and another 30 joined via the web. He also discussed the report in a meeting with key staff of the Joint Economic Committee of the U.S. Congress. 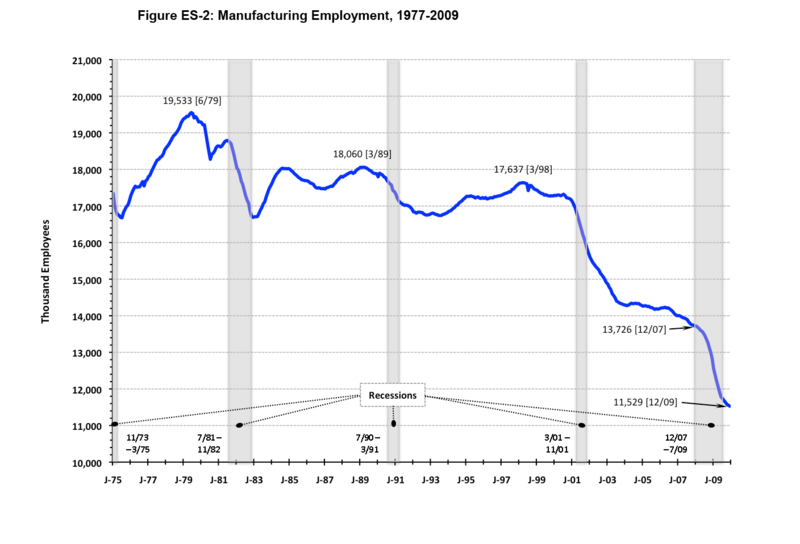 Analyzes key domestic and international economic trends—which taken together provide strong evidence that the foundation of America’s manufacturing has been deteriorating across the board, especially over the past decade. The key indicators of domestic economic performance include value added output, industrial capacity and capacity utilization, employment, and the number of manufacturing establishments. Key indicators of global competitiveness include the balance of trade in goods and import penetration rate. The former indicators reflect the economy’s ability to maintain and increase output growth over the long run. 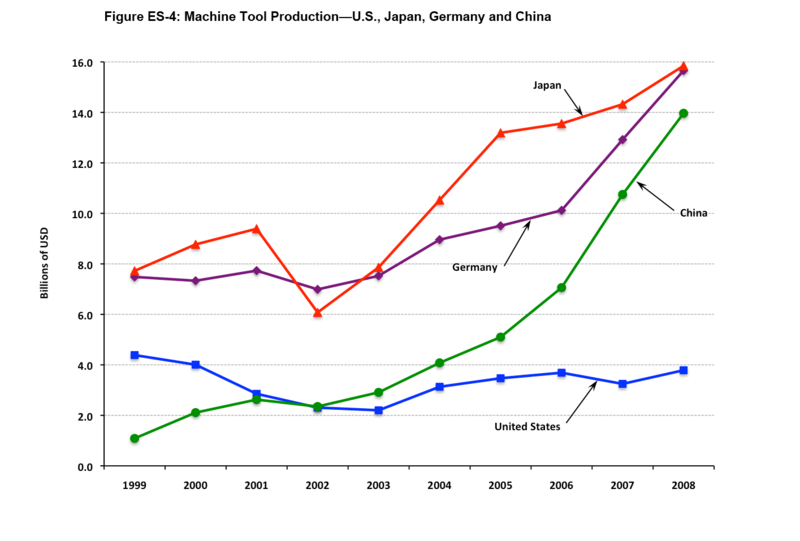 The latter reflect American manufacturers’ ability to compete with foreign producers in domestic and global markets. 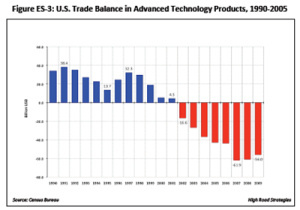 The economic trends reflect a sustained and potentially dangerous erosion across nearly all manufacturing industries, including many that supply products, components, and technologies that the Pentagon considers important to defense. 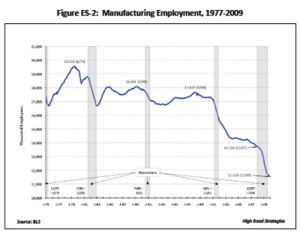 Describes linkages between manufacturing and the defense industrial base, and how erosion in a wide range of American manufacturing industries is hurting the domestic capacity to supply critical products for national security, forcing the Pentagon to depend on less secure foreign sources. This includes profiles of a broad cross-section of the defense industrial base—from semiconductors, printed circuit boards, machine tools, and advanced materials, to ball bearings, optoelectronics, and aerospace. Most of these industries have suffered significant losses in plant capacity and jobs, raising serious concerns about the ability of the domestic manufacturing sector to remain sufficiently innovative and robust to meet the Pentagon’s supply needs, especially in times of political and military crisis. 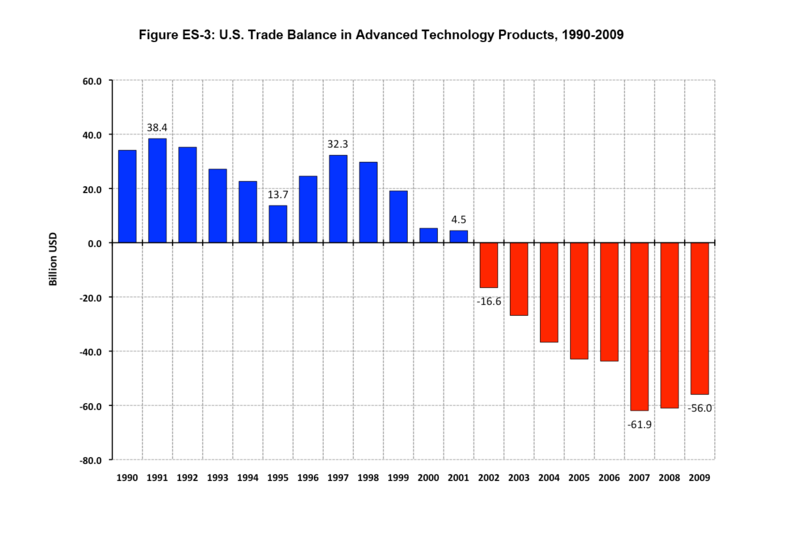 the loss of the know-how—resulting from the shedding of millions of skilled manufacturing professional, technical, and front-line production workers as U.S. manufacturing and R&D facilities are off-shored—needed for maintaining and advancing U.S. technology leadership in technology areas critical to economic and national security.